Imagine what our society would be like if only 1 or 2 of these inventions weren’t suppressed? Throughout history there have been countless attempts to discourage new technologies only to protect other people’s self-interests. Below are some of the most suppressed inventions ever. 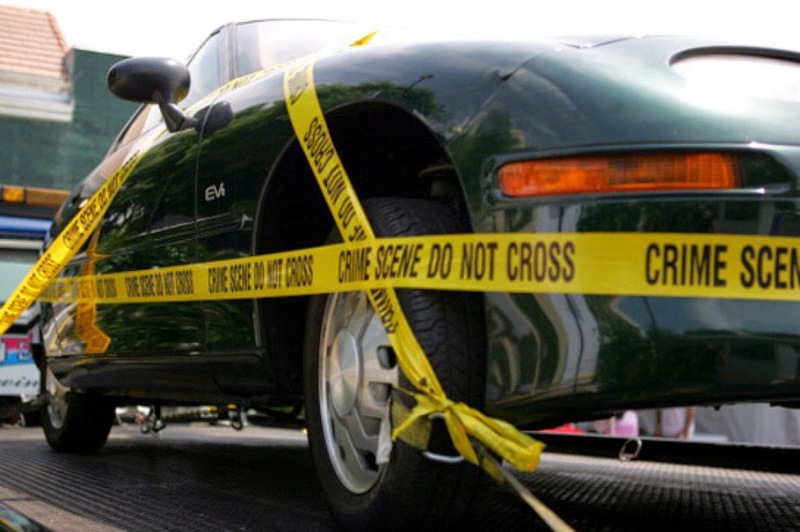 Perhaps the most notorious suppressed invention is the General Motors EV1, subject of the 2006 documentary, Who Killed the Electric Car? The EV1 was the world’s first mass-produced electric car, with 800 of them up for lease from GM in the late ’90s. GM ended the EV1 line in 1999, stating that consumers weren’t happy with the limited driving range of the car’s batteries, making it unprofitable to continue production. Many skeptics, however, believe GM killed the EV1 under pressure from oil companies, who stand to lose the most if high-efficiency vehicles conquer the market. It didn’t help that GM hunted down and destroyed every last EV1, ensuring the technology would die out. In5D Addendum: While we are starting to see some electric cars come onto the market, their efficiency is long to be desired as most will not run for very long and would be virtually impossible to use on long trips. For example, the world’s first car made entirely from hemp runs on electricity but can only be driven for 100 miles before it needs to be recharged. 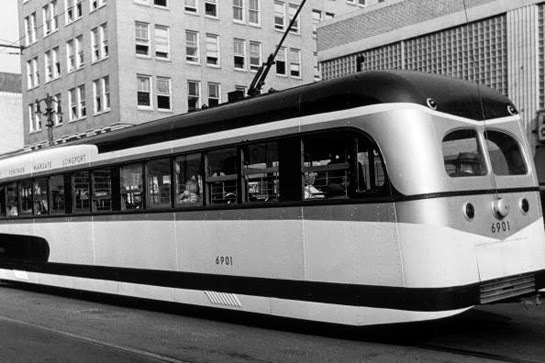 In 1921, if the streetcar industry wasn’t actually naming streetcars Desire, it was certainly desiring more streetcars. They netted $1 billion, causing General Motors to hemorrhage $65 million in the face of a thriving industry. GM retaliated by buying and closing hundreds of independent railway companies, boosting the market for gas-guzzling GM buses and cars. While a recent urban movement to rescue mass transit has been underway, it is unlikely we’ll ever see streetcars return to their former glory. The holy grail of automotive technology is the 99-mpg car. Although the technology has been available for years, automakers have deliberately withheld it from the U.S. market. In 2000, the New York Times reported a little-known fact, at least to most: A diesel-powered dynamo called the Volkswagen Lupo had driven around the world averaging higher than 99 mpg. The Lupo was sold in Europe from 1998 to 2005 but, once again, automakers prevented it from coming to market; they claimed Americans had no interest in small, fuel-efficient cars. 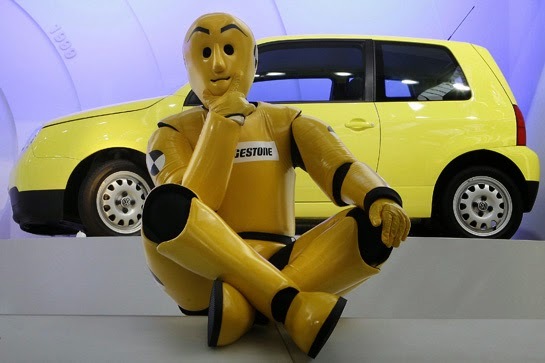 In5D Addendum: We are starting to see evidence of cars that will now exceed 99 mpg as evidenced in a recent article entitled, “Volkswagen’s New 300 MPG Car Not Allowed In America“. For the most part, the major auto manufacturers are in bed with Big Oil and will continue to suppress the manufacturing of these cars for as long as they can. Nikola Tesla was more than just the inspiration for a hair metal band, he was also an undisputed genius. 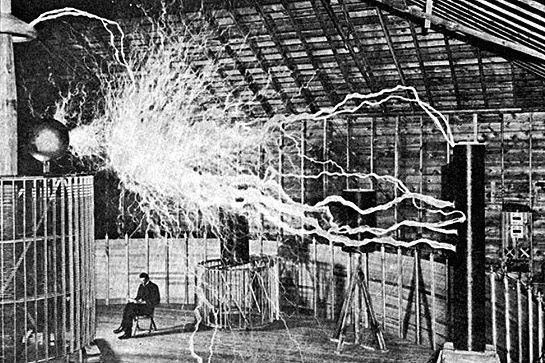 In 1899, he figured out a way to bypass fossil-fuel-burning power plants and power lines, proving that “free energy” could be harnessed using ionization in the upper atmosphere to produce electrical vibrations. J.P. Morgan, who had been funding Tesla’s research, had a bit of buyer’s remorse when he realized that free energy for all wasn’t as profitable as, say, actually charging people for every watt of energy use. Morgan then drove another nail in free energy’s coffin by chasing away other investors, ensuring Tesla’s dream would die. 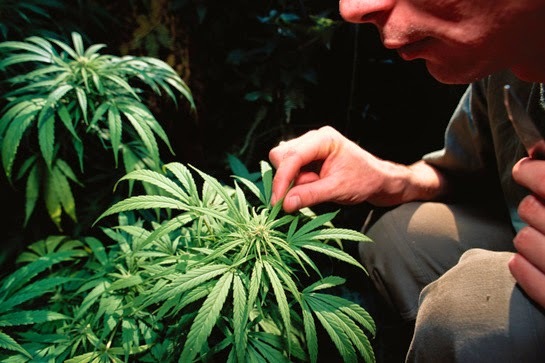 In 2001, Nova Scotian Rick Simpson discovered that a cancerous spot on his skin disappeared within a few days of applying an essential oil made from marijuana. Since then, Simpson and others have treated thousands of cancer patients with incredible success. Researchers in Spain have confirmed that THC, an active compound in marijuana, kills brain-tumor cells in human subjects and shows promise with breast, pancreatic and liver tumors. The U.S. Food and Drug Administration, however, classifies marijuana as a Schedule I drug, meaning that it has no accepted medical use, unlike Schedule II drugs, like cocaine and methamphetamine, which may provide medical benefits. What a buzzkill. You can read more about the amazing healing properties of Cannabis by accessing this link. 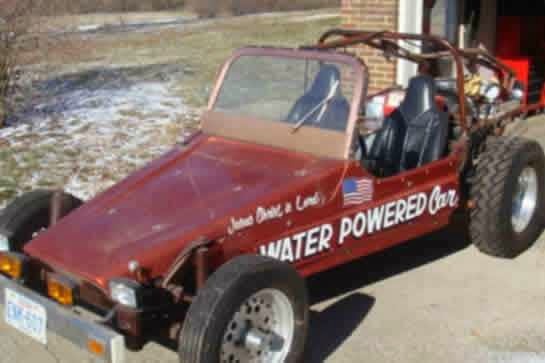 Despite how silly it sounds, water-fueled vehicles do exist. The most famous is Stan Meyer’s dune buggy, which achieved 100 miles per gallon and might have become more commonplace had Meyer not succumbed to a suspicious brain aneurysm at 57. Insiders have loudly claimed that Meyer was poisoned after he refused to sell his patents or end his research. Fearing a conspiracy, his partners have all but gone underground (or should we say underwater?) and taken his famed water-powered dune buggy with them. We just hope someone finally brings back the amphibious car. What if you had a device that could see into the future and revisit the past? And what if you didn’t need Christopher Lloyd to help you? Father Pellegrino Maria Ernetti, an Italian priest, claimed in the 1960s to have invented what he called a Chronovisor, something that allowed him to witness Christ’s crucifixion. The device supposedly enabled viewers to watch any event in human history by tuning in to remnant vibrations that are caused by every action. 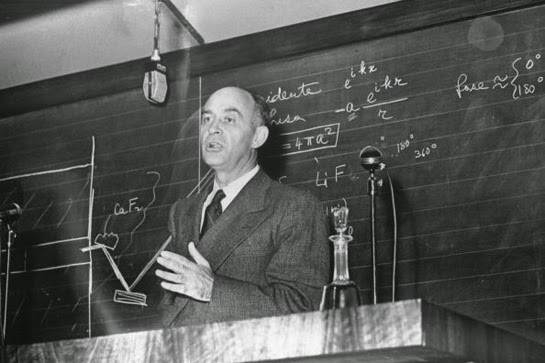 (His team of researchers and builders included Enrico Fermi, who also worked on the first atomic bomb). On his deathbed, Fermi admitted that he had faked viewings of ancient Greece and Christ’s demise, but insisted the Chronovisor, which had by then vanished, still worked. Unsurprisingly, conspiracy theorists say the Vatican is now the likely owner of the original Chronovisor. 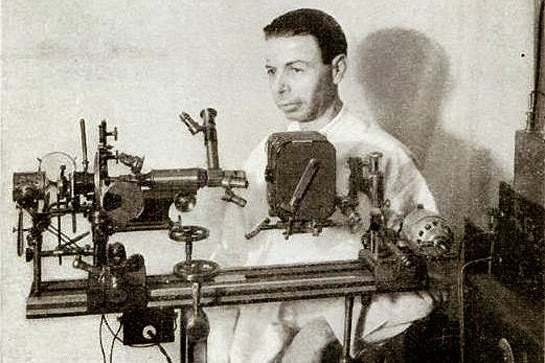 American inventor Royal Rife (his real name), in 1934, cured 14 “terminal” cancer patients and hundreds of animal cancers by aiming his “beam ray” at what he called the “cancer virus.” So why isn’t the Rife Ray in use today? A 1986 book, The Cancer Cure That Worked: Fifty Years of Suppression, by Barry Lynes and John Crane, revived the Rife device affair. The book, written in a style typical of conspiratorial theorists, cites names, dates, events and places, giving the appearance of authenticity to a mixture of historical documents and speculations selectively spun into a web far too complex to permit verification by any thing short of a army of investigators with unlimited resources. Dr. Reich and three assistants set up their “rain-making” device off the shore of Grand Lake. 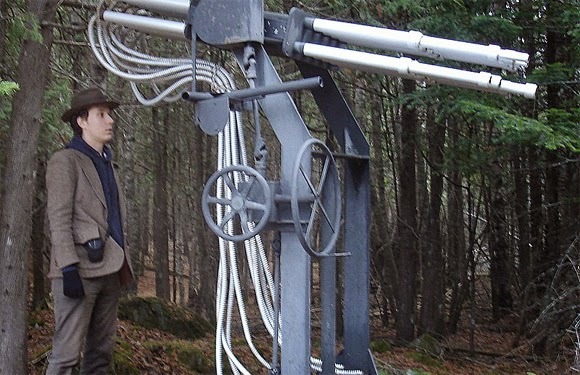 The device, a set of hollow tubes, suspended over a small cylinder, connected by a cable, conducted a “drawing” operation for about an hour and ten minutes. And later the same witness said the scientists were able to change the course of the wind by manipulation of the device. The blueberry crop survived, the farmers declared themselves satisfied, and Reich received his fee. A number of overunity generators, which produce more energy than they take to run, have surfaced in the past century. Ironically, they have been more trouble than they were worth. In nearly all cases, a supposedly working prototype has been unable to make it to commercial production as a result of various corporate or government forces working against the technology. Recently, the Lutec 1000, an “electricity amplifier,” has been making steady progress toward a final commercial version. Will consumers soon be able to buy it, or will it too be suppressed? Billions of dollars have been spent researching how to create energy using controlled “hot fusion,” a risky and unpredictable line of experimentation. 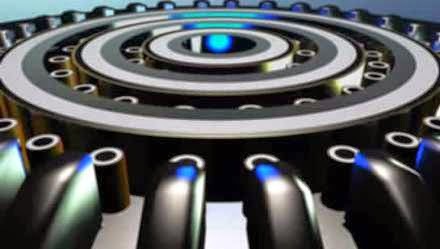 Meanwhile, garage scientists and a fringe group of university researchers have been getting closer to harnessing the power of “cold fusion,” which is much more stable and controllable, but far less supported by government and foundation money. In 1989, Martin Fleischmann and Stanley Pons announced that they had made a breakthrough and had observed cold fusion in a glass jar on their lab bench. To say the reaction they received was chilly would be an understatement. CBS’s 60 Minutes described how the resulting backlash from the well-funded hot-fusion crowd sent the researchers underground and overseas, where within a few years their funding dried up, forcing them to drop their pursuit of clean energy. 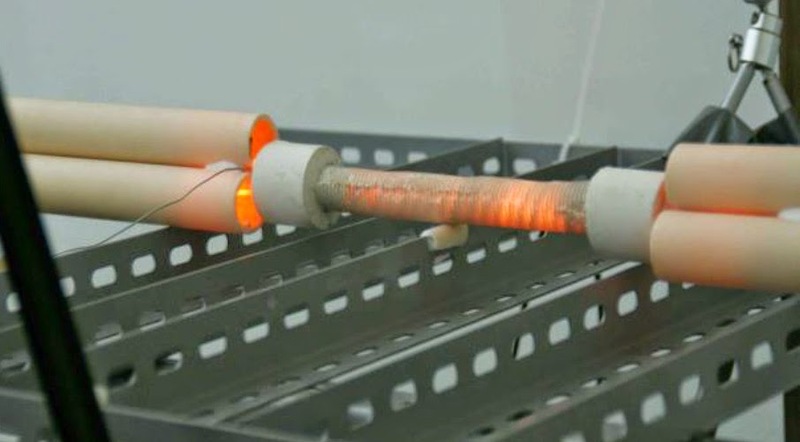 Related: Cold Fusion is Back: Independent Testing Proves it Works! Cold fusion isn’t the only technology to get buried by hot-headed scientists. When two physicists who were working on the decades-long Tokamak Hot Fusion project at Los Alamos Laboratory stumbled across a cheaper, safer method of creating energy from colliding atoms, they were allegedly forced to repudiate their own discoveries or be fired; the lab feared losing the torrent of government money for Tokamak. In retaliation, the lead researchers created the Focus Fusion Society, which raises private money to fund their research outside of government interference. Nazi scientists spent much of World War II hidden in a covert military base somewhere in the arctic, creating the Magnetofunk. This alleged invention was designed to deflect the compasses of Allied aircraft that might be searching for Point 103, as the base was known. The aircraft pilots would think they were flying in a straight line, but would gradually curve around Point 103 without ever knowing they were deceived. The Himmelkompass allowed German navigators to orient themselves to the position of the sun, rather than magnetic forces, so they could find Point 103 despite the effects of the Magnetofunk. According to Wilhelm Landig, a former SS officer, these two devices were closely guarded secrets of the Third Reich. So closely guarded were they that neither device apparently survived the collapse of Hitler’s Germany, although the real tragedy is that no one has ever named their band Magnetofunk. In the 1960s, the Liggett & Myers tobacco company created a product called the XA, a cigarette in which most of the stick’s carcinogens had been eliminated. Dr. James Mold, Liggett’s Research Director, reported in court documents in the case of “The City and County of San Francisco vs. Phillip Morris, Inc.,” that Phillip Morris threatened to “clobber” Liggett if they did not adhere to an industry agreement never to reveal information about the negative health effects of smoking. By advertising a “safer” alternative, they would be admitting the dangers of tobacco use. The lawsuit was dismissed on a technicality and Phillip Morris never addressed the accusations. Despite their own scientists’ publication of research that showed less cancer in mice exposed to smoke from the XA, Liggett & Myers issued a press released denying evidence of cancer in humans as a result of tobacco use, and the XA never saw the light of day. The Transcutaneous Electronic Nerve Stimulation (TENS) device was created to alleviate pain impulses from the body without the use of drugs. In 1974, Johnson & Johnson bought StimTech, one of the first companies to sell the machine, and proceeded to starve the TENS division of money, causing it to flounder. StimTech sued, alleging that Johnson & Johnson purposely stifled the TENS technology to protect sales of its flagship drug, Tylenol. 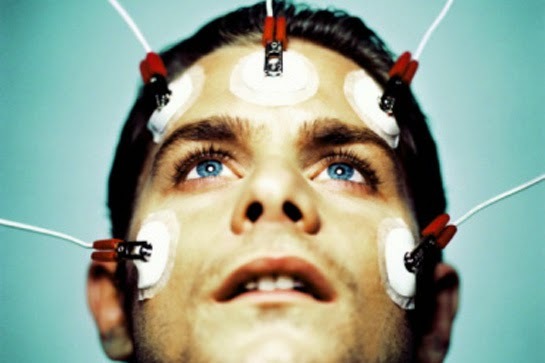 Johnson & Johnson responded that the device never performed as well as was claimed and that it was not profitable. StimTech’s founders won $170 Million, although the ruling was appealed and overturned on a technicality. The court’s finding that the corporation suppressed the TENS device was never overturned. 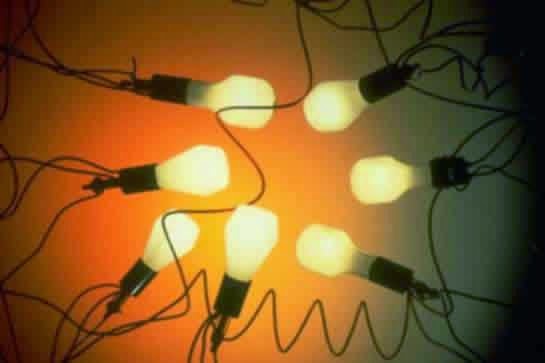 Phillips, GE and Osram engaged in a conspiracy from 1924 to 1939 with the goal of controlling the fledgling light-bulb industry, according to a report published in Time magazine six years later. The alleged cartel set prices and suppressed competing technologies that would have produced longer-lasting and more efficient light bulbs. By the time the cabal dissolved, the industry-standard incandescent bulb was established as the dominant source of artificial light across Europe and North America. Not until the late 1990s did compact fluorescent bulbs begin to edge into the worldwide lighting market as an alternative. 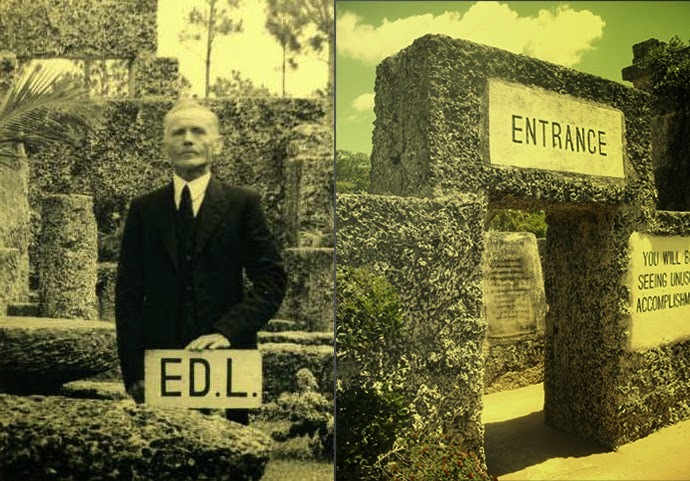 How did Ed Leedskalnin build the massive Coral Castle in Homestead, Florida, out of giant chunks of coral weighing up to 30 tons each with no heavy equipment and no outside help? Theories abound, including anti-gravity devices, magnetic resonance and alien technology, but the answer may never be known. Leedskalnin died in 1951 without any written plans or clues as to his techniques. The centerpiece of the castle, which is now a museum open to the public, is a nine-ton gate that used to move with light pressure from one finger. After the gate’s bearings wore out in the 1980s, a crew of five took more than two weeks to fix it, although they never did get it to work as effortlessly as Leedskalnin’s original masterpiece. The father of our country, George Washington, who is rumored to have said “I cannot tell a lie,” was a proud supporter of the hemp seed. Of course, the only thing more suppressed in this country than an honest politician is hemp, which is often mistakenly for marijuana and therefore unfairly maligned. 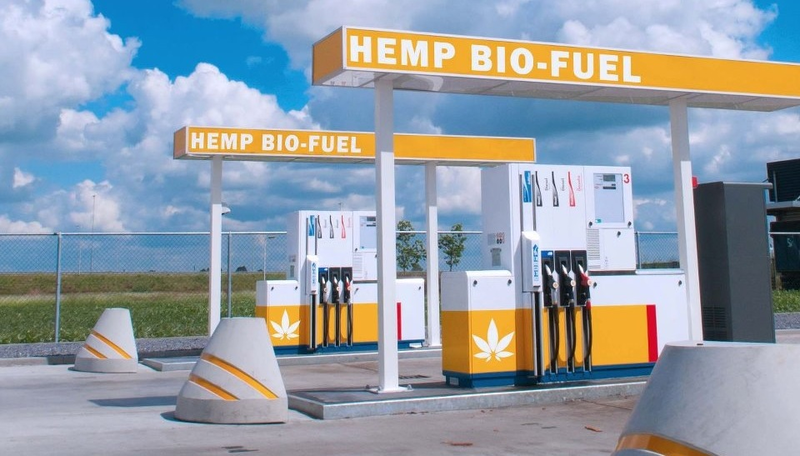 Governmental roadblocks, meanwhile, prevent hemp from becoming the leader in extracting ethanol, allowing environmentally damaging sources like corn to take over the ethanol industry. Despite the fact that it requires fewer chemicals, less water and less processing to do the same job, hemp has never caught on. Experts also lay the blame at the feet of (who else?) Presidential candidates, who kiss up to Iowa corn growers for votes. Once “bleached” of their Nazism, the US Government granted the scientists security clearance to work in the United States. SS Major Wernher von Braun was a rocket scientist who was adopted by the USA and put in charge of NASA. In 1975 he received the “National Medal of Science” from the US President. What IS a secret is the fact that the Nazis have also developed various models of “anti-gravitational” flying saucers. These “Foo Fighters”, as the Allied pilots called them, were able to fly at incredible speeds and maneuver at previously-thought impossible angles. 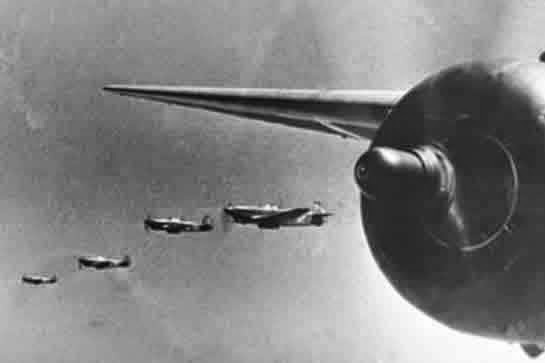 The “Foo Fighters” were a constant presence around their planes, but never shot at them. In turn, they were also impossible to be shot down, as the famous case of the so called “Battle of Los Angeles” proved. 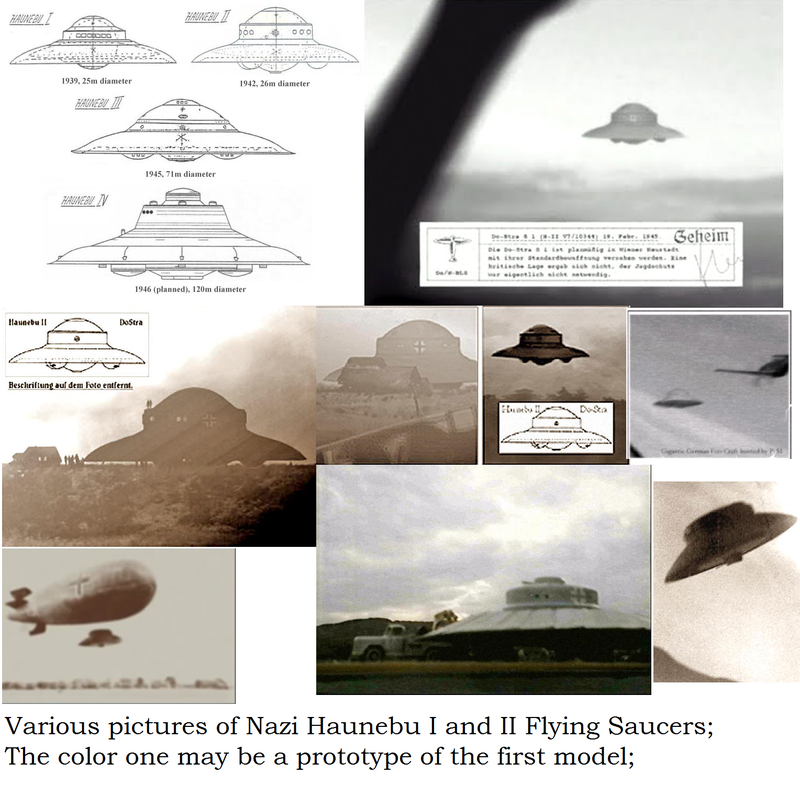 Many separate teams of scientists worked with unlimited budgets to achieve Hitler’s dream of an invincible fleet of flying saucers, but the only fruitful projects were the Vril and the Haunebu. Everything started with a secret society named Thule (all prominent Nazis were part of it). The members were mystic worshipers of the Black Sun and, according to their psychic channelers, they had made contact with an extraterrestrial species, residing in the Aldebaran solar system. 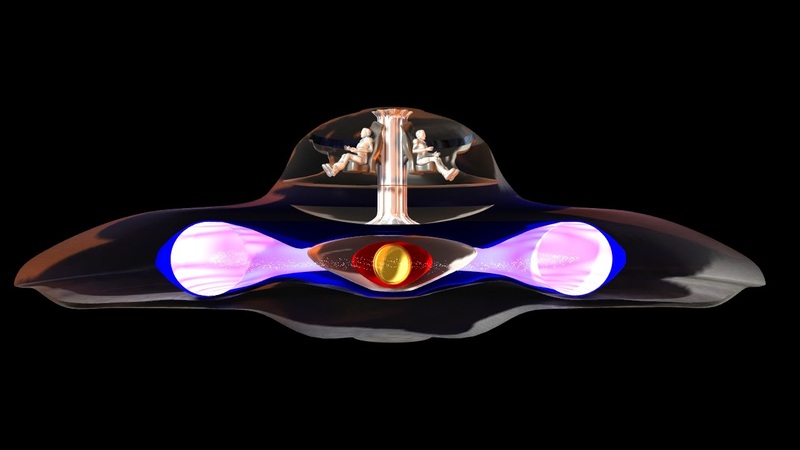 These ETs, who called themselves Vril-ya, offered to the Thule members the knowledge to build unarmed anti-gravitational flying crafts — which subsequently had been named Vril. The end of Warld War II marked the beginning of a world-wide UFO phenomenon, and for obvious reasons: the Allied forces got their hands on some pretty neat technology and started playing with it — excuse me, testing these revolutionary crafts. This was a military project from day one, hence fell under the control of the US Air Force and Navy. At the same time, NASA begun to openly experiment with von Braun’s fuel-propelled rockets, which was the much-needed smoke screen for the real space programs. If you remember the early accounts of UFOs, the witnesses described yellow and orange glowing crafts that interfered with electronic devices. Those were the earliest models, and they were based entirely on the Nazi research. With time, the technology got better and that’s why UFO sightings dropped in the past two decades. That’s also the reason why UFOs don’t interfere with electronics anymore. You can read more about the Nazi “anti gravitational” technology here. Police arriving at a property in Sydney were expecting to intervene in a case of domestic violence after receiving calls from concerned neighbours. A woman had been heard screaming hysterically with a man yelling “I’m going to kill you, you’re dead. Die, die”, police had been told. When they arrived at the address in Wollstonecraft on Sunday to investigate, the conversation officers had with the occupant – as recounted on the Harbourside LAC – NSW Police Force Facebook page – revealed things weren’t quite as they seemed. The late Cuban leader was an energetic sponsor of socialist movements throughout Latin America and Africa. 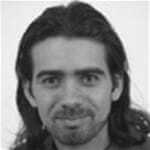 Dr Manuel Barcia is Professor of Latin American History at the University of Leeds. Soon after his capture in 1953, following an attack he led on the Moncada Army Barracks, a young Fidel Castro was put on trial. While conducting his own defence, Castro accused then-President Fulgencio Batista’s regime of depriving Cuba of democratic rule and of establishing a dictatorship. Interesting enough, Castro’s subsequent actions placed him in one of those inconclusive historical wormholes where agreeing on anything about him, let alone an acquittal for his actions, is almost an impossibility. To some, he was an irredeemable monster who submerged Cuba into a long, dark age of tyranny and human rights violations. To others, he was a socialist superman who brought about social equality – at least partially for women and for Afro-Cubans – and who introduced free education and universal healthcare. From an economic and political point of view, Castro’s rule was characterised by a catalogue of mistakes that over the years led to more than one “rectification of errors” campaign. Domestically, many of his policies seemed bound to failure from the start. A heavy dependence on the Soviet Union as a result of an unremitting American embargo left the country exposed to the rough forces of the free market in the early 1990s, fostering an economic crisis known in Cuba as the “special period in time of peace” that arguably still continues. Internationally, Castro’s involvement in world affairs, especially those concerning Latin America, was a thorn in the side of US policies. His alliance with Soviet leader Nikita Khrushchev, which brought the USSR and US to the brink of nuclear war in 1962, was an early red flag that Castro was not about to back off when it came to confronting US imperialism. 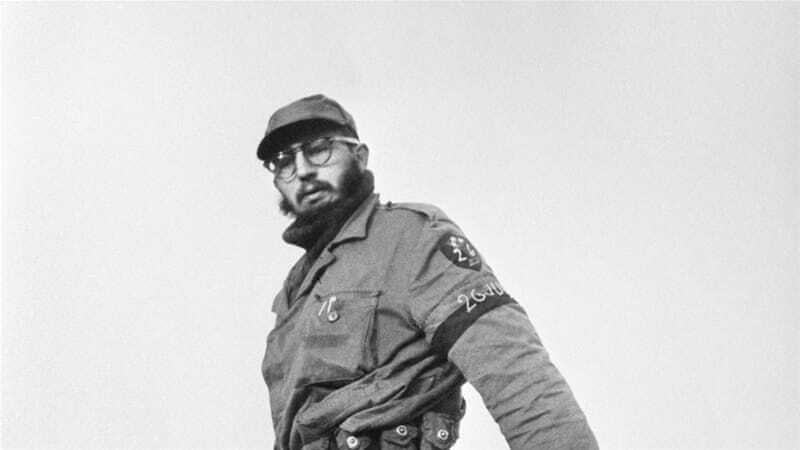 Castro lent his support to Latin American armed groups fighting US-backed dictatorships countless times in the following decades, and in some cases supported movements taking on democratically elected governments, such as that of Romulo Betancourt in Venezuelain the 1960s. Cuban secret agents wandered across the continent, training guerrilla commandos from Guatemala to Argentina. One of the icons of the Cuban Revolution, Ernesto “Che” Guevara, even lost his life while trying to set up a guerrilla movement in Bolivia to topple the government of President Rene Barrientos. Beyond the confines of Latin America, Castro’s influence grew steadily throughout the Cold War years. In 1979, Cuba was elected to take over the presidency of the Non-Aligned Movement (NAM), an organisation formed in 1960 to offer a peaceful alternative to the belligerent East-West blocs that characterised the Cold War. Castro’s presidency of the NAM came as recognition of Cuba’s role in the international arena and was widely accepted and praised by all NAM members. However, the Soviet invasion of Afghanistan only three months into Castro’s presidency of the NAM caused havoc among the member states, and in particular affected Castro’s leadership since he was forced to side with the USSR. In doing so, he failed on two fronts. He failed to stick to the actual principle of non-alignment enshrined in the NAM name and constitution, and he did so by turning his back on one of the NAM member states while supporting a Cold War power. Even though Castro’s stock took a massive tumble afterwards, he continued to influence international politics, and nowhere more so than in Africa. Castro’s (and Guevara’s) role in assisting the decolonisation process in Africa was second to none. From the early 1960s, Castro threw all his support behind the Algerian liberation struggle against France. Cuban doctors and soldiers were some of the first to arrive in Algeria to offer a hand to the independence forces fighting to push French colonialism out of their country. In the following years, that support increased in size and scope across the continent. Castro offered Cuban support to the liberation struggles in Mozambique, Namibia, Zaire (now the Democratic Republic of Congo), Guinea-Bissau, and Angola, among many others. In some cases, this support involved military interventions that did not always go according to plan. For example, in the mid-1970s after Ethiopian Emperor Haile Selassie was deposed by the Derg regime, Castro was forced to change sides – as the Soviets, East Germans, Czechs, and Americans also did – during a realignment of forces in the region provoked by ongoing disputes between Somalia, Ethiopia and Eritrea. Cuban personnel were required to abandon their former ally Mohammed Siad Barre, the Somali president, who now sided with the Americans, and take sides with their new ally Mengistu Haile Mariam. Cuban troops fought the Somali invasion of the Ogaden alongside Ethiopian forces, and by remaining in Ethiopia gave at least tacit support to Ethiopian campaigns against Eritrean armed groups fighting for independence. This position almost certainly became a political dilemma for Castro, who until then had always supported anti-colonial movements of liberation across the world. While Castro’s intervention in the Horn of Africa was characterised by dubious decisions and tainted by the purges that Mengistu’s regime would eventually carry out between 1977 and 1978, his involvement in the Angolan war is the outstanding episode in his career as a champion of decolonisation. Not only did he demonstrate to the world that Cuba was far from being a pet project of the USSR – Cuba’s support for the socialist MPLA was done without the approval of the Kremlin and almost certainly against its wishes. It also helped raise his profile, and that of Cuba, to new levels of recognition and influence throughout the developing world. Cuban backing for the MPLA helped Angola to secure independence from Portugal in 1975, and helped repel the joint attempts of the South African apartheid government and Zaire’s Mobutu regime to occupy Angola. Growing up in Cuba at the time, I can certainly say that I don’t recall any other Castro enterprise that united Cubans behind the regime to such an extent – except perhaps Cuba’s resistance to the 1983 US invasion of Grenada. Contrary to what has been argued for years, Cuba’s involvement in Angola was a response to previous US and South African interventionism and to the very tangible threat of a South African invasion. After almost two decades of struggle, when Cuba’s troops left Angola, they had secured not only the independence of the country, but had also contributed significantly to the independence of Namibia and to the fall of the apartheid regime. Little wonder, then, that Raul Castro, in place of his brother, was one of the few world dignitaries asked to speak at Nelson Mandela’s funeral. Ultimately, Castro’s legacy in Africa is more of a Cuban legacy. Everywhere I have visited in Africa, from Dakar to Addis Ababa, from Niamey to Luanda, I have been welcomed with open arms and big smiles as a Cuban. I am far from certain that history will acquit Fidel Castro. More likely history will record his journey through the past six or seven decades as a controversial one. Almost certainly, he will continue to be an irredeemable monster to some – and a socialist superman to others. Nestle’s head claims humans don’t have a right to water – does he have the right to exist? As the ever profitable Christmas season approaches keep this company in mind for boycotting. Any company that denies water is a human right deserves to have its means of survival squeezed and cut off. If people stop buying their wares their whole raison d’être dries up. We have now corporations (parading as ‘democratic’ governments) that will deny you the right even to collect rainwateroff your roof people. This is not right. 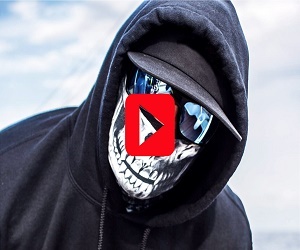 These same governments aka corporations will sell the rights to bottle your country’s reserves of clean water to their corporate mates for a song, accruing profit (to themselves note, not your community) whilst making you pay dearly for the ‘privilege’. If you go by the numbers, Buddy Holly’s career — which lasted a year and a half with only one number one single — hardly seems the stuff of legend. He only accepted top billing on the 24-day, 24-town “Winter Dance Party” tour alongside the Big Bopper (of “Chantilly Lace” fame) and Richie Valens (“La Bamba”) as a way to dig himself out of bankruptcy. And yet his influence on early rock ‘n’ roll is almost unmatched. Holly was barely out of high school when he opened for Elvis Presley in 1955. He popularized the two guitar, one bass, one drum lineup that so many acts (the Beatles, the Kinks, Talking Heads, Weezer) would later adopt. When a self-conscious Roy Orbison saw Holly’s black rimmed glasses and slim jim ties, he decided not to let his homely, face-for-radio looks hinder his singing career. (For a while, John Lennon even adopted the style). Holly wrote his own material and used his signature pitch-changing hiccup to move seamlessly between country, R&B and rockabilly. When he died, he was only 22. On February 2, 1959, Holly and his tourmates were on the eleventh night of their Winter Dance Party tour through the snow-covered Midwest. It was a Monday — a school night — but 1,100 teenagers crammed into Clear Lake, Iowa’s Surf Ballroom for two sold out shows. They wore blue jeans and saddle shoes and screamed for 17-year-old Richie Valens, whose single “Donna” was about to go gold. Between sets, Holly solicited people to join him on the charter airplane he’d hired to fly to the next show in Moorhead, Minnesota. The musicians had been traveling by bus for over a week and it had already broken down once. They were tired, they hadn’t been paid yet and all of their clothes were dirty. With the airplane, Holly could arrive early, do everyone’s laundry and catch up on some rest. A 21-year-old pilot named Roger Peterson had agreed to take the singer to Fargo, North Dakota — the closest airport to Moorehead. A snowstorm was on its way and the young pilot was fatigued from a 17-hour workday, but he agreed to fly the rock star to his next gig because, hey, he would be flying Buddy Holly. The second show ended at midnight. The musicians packed up their instruments and finalized the flight arrangements. Holly’s bass player, Waylon Jennings, was scheduled to fly on the plane but gave his seat to the Big Bopper, who was suffering from a cold. Holly’s guitarist Tommy Allsup agreed to flip a coin with Richie Valens for the remaining seat. Valens won. The three musicians boarded the red and white single-engine Beech Bonanza around 12:30 on Feb. 3. Fans flocked to the tarmac, waving and crying and asking for autographs. The musicians waved back and then climbed onto the plane. Snow blew across the runway but the sky was clear. Peterson received clearance from the control tower, taxied down the runway and took off. He was never told of two weather advisories that warned of an oncoming blizzard. The plane stayed in the sky for only a few minutes; no one is quite sure what went wrong. The best guess is that Peterson flew directly into the blizzard, lost visual reference and accidentally flew down instead of up. The four-passenger plane plowed into a nearby cornfield at over 170 mph, flipping over on itself and tossing the passengers into the air. Their bodies landed yards away from the wreckage and stayed there for ten hours as snowdrifts formed around them. Because of the weather, nobody could reach the crash site until the morning. In Texas, a neighbor told Holly’s mother to turn on the radio. When the news report came out, she screamed and collapsed. 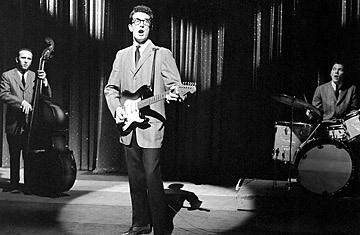 In Greenwich Village, Buddy Holly’s pregnant wife heard the news on television and suffered a miscarriage the following day, reportedly due to “psychological trauma.” In the months following the crash, authorities would adopt a policy against releasing victims’ names until after the families had been notified. The Winter Dance Party tour continued, with Waylon Jennings singing Holly’s songs and other teen sensations, including 18-year-old Frankie Avalon, flown out to finish the tour. Holly’s body was shipped back home to Lubbock, Texas. His Baptist family never approved of his music and none of his songs were played at his funeral. Then a strange thing happened. Holly’s last single, “It Doesn’t Matter Anymore,” had endured sluggish sales. The music industry had not yet discovered the commercial allure of untimely deaths, and record executives were shocked to see the song shoot up to number 13 on the charts. The first song memorializing the musicians — Eddie Cochran’s “Three Stars” — was recorded just one day after their deaths. But Don McLean’s 1971 single “American Pie” turned the plane crash into a metaphor for the moment when the United States lost its last shred of innocence. McLean envisioned that last Buddy Holly concert in Clear Lakes, Iowa: teenagers in pink carnations and pick-up trucks, dancing and falling in love and dancing some more. The snow fell silently outside as the country teetered on the brink of the 1960s; no one in the ballroom had any idea what would happen next.